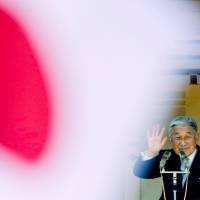 The Cabinet on Friday approved a bill to let Emperor Akihito hand over the Chrysanthemum Throne to Crown Prince Naruhito in what would be Japan’s first abdication in roughly 200 years. The government is looking at December 2018, when the Emperor turns 85, as the timing for his abdication, which will likely trigger a change in Japan’s gengo (era name), which remains in use throughout an emperor’s reign, at the start of 2019, sources said. 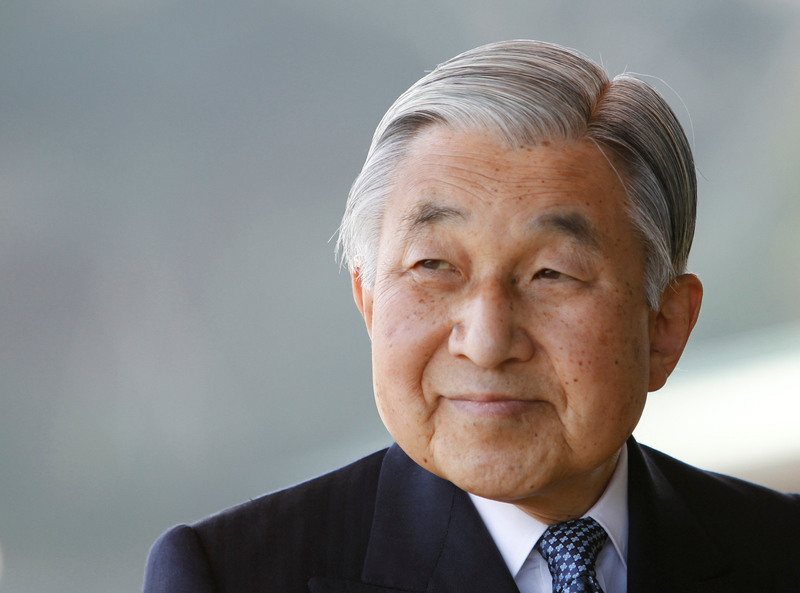 The bill was specifically designed for Emperor Akihito, 83, to prevent other monarchs from easily following suit. Securing a stable succession process as the Imperial family shrinks remains a challenge. This issue was highlighted by news of Princess Mako’s impending engagement to a commoner. Princess Mako, the first grandchild of Emperor Akihito and the elder daughter of Prince Akishino, is expected to become a commoner after her marriage in accordance with the Imperial law. “The government is expecting the bill to be passed smoothly,” Chief Cabinet Secretary Yoshihide Suga said at a news conference. The bill states the public’s “understanding” and “sympathy” for the aging Emperor’s “deep concern” about becoming unable to fulfill his duties eventually as the reason to set up the special abdication law. The timing of the Emperor’s retirement will be set by a government ordinance after the enactment and promulgation of the special law. Prime Minister Shinzo Abe’s government began preparing the legal revision after the Emperor gave an unusual televised address to the public last August hinting at his desire to step down because his advanced age and weakening health were interfering with his duties. Currently, only posthumous succession is allowed by the Imperial House Law, which stipulates Imperial matters but lacks a provision for abdication by a reigning emperor. The government and the Abe administration did not want to create a permanent abdication system, so they instead drafted a piece of one-off abdication legislation and a supplementary provision to the Imperial House Law to enable the special law for the Emperor to serve as a precedent for future emperors. The bill was submitted to the Diet on Friday and the government expects it to become law before the Diet closes in mid-June. In the meantime, the ruling and opposition parties remain divided over how and by when to address the shrinking of the Imperial family. The Democratic Party has been trying to get a special resolution attached to the abdication bill calling for deeper debate on enabling princesses to establish their own branches within the Imperial family after they marry commoners. But Abe’s conservative Liberal Democratic Party has been reluctant to adopt such a policy because its base knows that allowing princesses to stay in the Imperial family after marriage could eventually pave the way for a woman to inherit the Chrysanthemum Throne. Princess Mako’s marriage is thus set to reduce the Imperial family to 18 members, with only four heirs to the throne. Prince Hisahito, 10, Princess Mako’s younger brother, is the only male member of his generation. 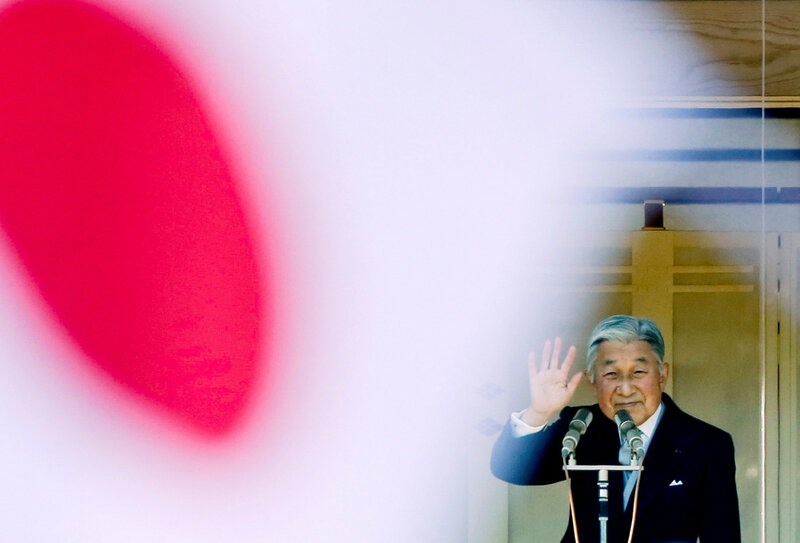 After Emperor Akihito relinquishes the throne, he will be called joko, an abbreviation of daijo tenno, a title that was given in the past to emperors who abdicated, according to the bill. Empress Michiko will be given the new title of jokogo, which means “wife of joko,” after the Emperor retires. Emperor Akihito’s funeral ceremony and tomb will be equivalent in status to those of past emperors, the bill said, adding that the Emperor’s Birthday holiday on Dec. 23 will shift to Feb. 23, the birthday of Crown Prince Naruhito, 57, who will become the new emperor. The timing of the abdication will be decided under an ordinance within three years of the law’s promulgation after consulting with the Imperial House Council, whose members include the prime minister, a Supreme Court justice and the Imperial Household Agency’s grand steward, as well as two members of the Imperial family, the bill said. A series of rituals will be held over the span of a year to mark the accession of the new emperor. The government is also planning to hold Japan’s first abdication ceremony in almost two centuries after studying ceremonial practices from the past. After Crown Prince Naruhito ascends the throne, his younger brother Prince Akishino, 51, will be the next in line. This will cause Prince Akishino’s annual budget allocation to balloon threefold to ¥91.5 million ($822,000), the bill says. 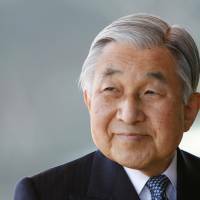 The special law will allow Emperor Akihito to become the first emperor to abdicate since Emperor Kokaku, who relinquished the throne in 1817. In the past, abdication used to be common, with about half of Japan’s 125 emperors having chosen to do so.